Meeting schedule is about as fundamental as it gets in delivering great client service. Apparently some firms need to brush up on the fundamentals. According to a study by consulting firm Morrissey Goodale, only 12% of A/E firms received an "A" grade from clients for on-time delivery. Architects fared worse in this assessment, with almost half getting a "C" or "D" grade. Most clients view their projects as time-sensitive. For those with revenue-generating facilities, time truly is money. Wasting the client's time and money is hardly a good way to distinguish your firm (in a good way, at least). On the other hand, don't expect glowing reviews just for meeting schedule. What else should the client expect? In this regard, delivering on time is much like doing quality work--think of it as meeting a minimum requirement. Actively engage the client in the scheduling process. The client obviously can substantially impact the schedule, particularly where design changes, reviews, and sign-offs are involved. Make sure the client understands his or her role in keeping the project on track, and schedule appropriate time for client turnarounds. Involve regulators and other key stakeholders early. Given their impact on schedule and budget, I've never quite understood the reluctance to engage regulators before it's absolutely necessary. Why not seek clarification on their expectations before the work begins? Granted, you sometimes have to persuade clients to allow this approach, but it's worth trying. Same for other stakeholders who can significantly shape the direction of the project. Allow adequate time for reviews, corrections, and changes. Failing to do so is one of the more common scheduling problems. Build time into your schedule for reviews and revisions, and plan how you will respond if these activities extend beyond your estimate. Don't overlook nontechnical project tasks. Phone calls, meetings, and responding to client requests all involve time that should be accounted for in the project schedule. Failing to budget time for these tasks is one reason why client service often gets shortchanged. On the other hand, if you take the time to be attentive to the client, failing to plan for those activities can negatively impact the schedule. Avoid agreeing to unreasonable deadlines. Remember, great service isn't about saying "yes" to whatever the client asks, but delivering what you promised. The old adage "under-promise and over-deliver" is good schedule management advice. Keep the client informed of schedule progress. Proactive communication is a hallmark of superior service. This certainly applies to keeping schedules. If you anticipate trouble meeting any deadlines, advise the client early. Work together to determine how to mitigate the potential impacts of any late deliverables. Be sure the project team understands the impacts of missed deadlines. It would appear that many in our profession don't give appropriate weight to meeting schedules. They see quality work as worth waiting for. But clients expect both quality and on-time performance. Help the team understand the critical importance of meeting schedule, which includes holding to internal, intermediate deadlines. Can you sell your firm's on-time performance? 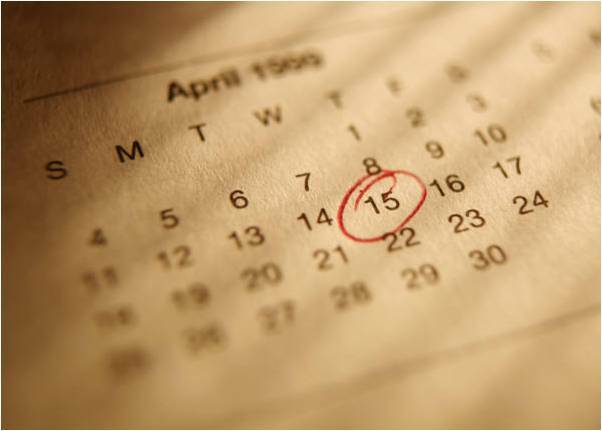 RFPs often ask you to provide evidence of your ability to meet schedules. Most firms I've worked with are weak on proof. They don't do a good job tracking their schedule performance, and may not have positive results to show if they did. Take this as an opportunity to set your firm apart. First you have to build a track record for on-time delivery, if you haven't already. Then you need to be able to show evidence during the sales and proposal process that you're capable of meeting the client's schedule. It's an under-valued marketing asset.